AN PHOBLACHT has had an important role in the republican struggle down the decades. It will continue to do so. This is not the end of the story. Political and technological advances – the massive growth and influence of Sinn Féin, the ending of state censorship, almost universal access to instant news on an all-embracing social media – however, have brought us to move from a monthly print edition to an online service. The print edition of the paper had been a key component in weekly republican activity across Ireland for decades. In the past it was a vital tool of political organisation through advertising mobilisations, events and political activity. Through its distribution network within Sinn Féin activism over the years it became a focus for weekly political activity. Times have changed. An Phoblacht follows in a proud tradition of republican journals over 200 years since the United Irishmen’s Northern Star, edited by Samuel Neilson in the 1790s; the Young Irelanders’ Nation of the 1840s, edited by Thomas Davis; the Fenians’ Irish People newspaper 1863-65, edited by Thomas Clarke Luby, John O’Leary and Charles J. Kickham; and the numerous republican papers in each decade of the 20th century. Although relaunched in 1970, the title An Phoblacht has a long and historic association with Irish republicanism. It was used for the first time in its English form (‘The Republic’) by the Dungannon Clubs. But the title An Phoblacht became better known in the 1920s and 1930s through its use by a newspaper of those decades which became, in effect, the voice of the Irish Republican Army. Following the upheavals within Irish republicanism in 1969/70, one of the tasks of the new leadership was the publication of a new republican newspaper. The first issue of the new monthly paper, An Phoblacht, under the editorship of Seán Ó Brádaigh, appeared on 31 January 1970. From its inception in the turbulent political events of the late 1960s and early 1970s, An Phoblacht continued to develop with the wider republican struggle. In 1972, after a move to Parnell Square in Dublin city centre, An Phoblacht went fortnightly. When Éamonn Mac Thomáis took over as Editor from Coleman Moynihan, major changes were made to the paper and it eventually went weekly in 1973. An Phoblacht was a target for state repression North and South over three decades. Its offices in Belfast and Dublin were regularly subjected to raids and Special Branch surveillance. Several of its editors were arrested. In July 1973, Éamon Mac Thomáis was sentenced to 15 months’ imprisonment for IRA membership. Within two months of his release and after resuming editorial duties at An Phoblacht, he was again arrested and sentenced to a further 15 months in jail. 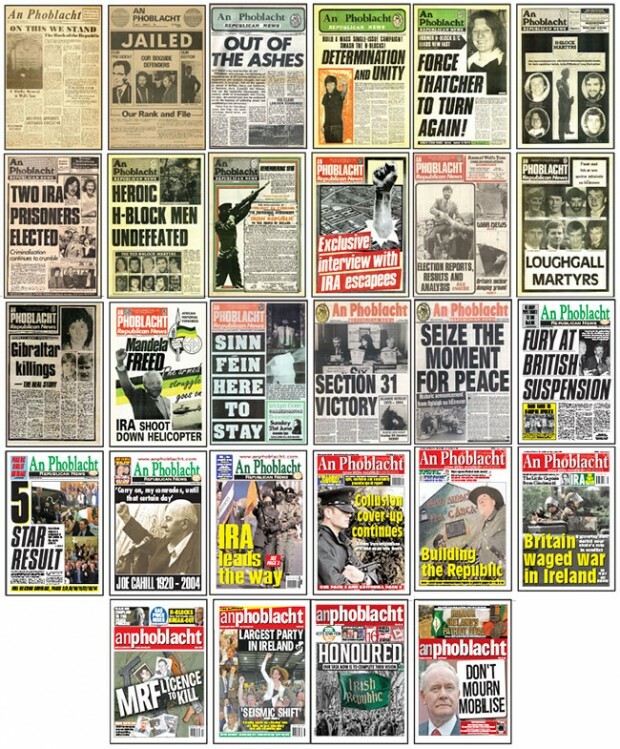 Since 1970, An Phoblacht was the official newspaper of the Republican Movement but its main of distribution throughout most of the 1970s remained the 26 Counties. The republican paper most widely read in the North at that time was the Belfast-based Republican News, founded in July 1970 by veteran republican Jimmy Steele. A four-page monthly, Republican News was edited and almost exclusively written by Steele. It had a circulation of 15,000 copies a month. Jimmy Steele was succeeded as Republican News Editor by Proinsias Mac Airt. In mid-1975, Danny Morrison took over as Editor and the paper was reorganised. In 1978, following his imprisonment in the H-Blocks at Long Kesh, the late Bobby Sands, using the pen-name ‘Marcella’, became a contributor to Republican News, describing in detail the appalling conditions in the H-Blocks. Throughout 1978, Republican News staff came in for increased harassment by the RUC and British Army. Its offices were regularly raided and issues of the paper seized. Editorial staff and delivery drivers were arrested by British forces. In the autumn of 1978, following years of debate, republicans agreed to amalgamate An Phoblacht and Republican News. The first issue of the merged paper, under the title An Phoblacht/Republican News, edited by Danny Morrison, appeared on 27 January 1979. During the early 1980s, An Phoblacht was to the fore in reporting many issues and the only uncensored source of news on the struggle in the streets and in the prisons. These included the appalling conditions in the H-Blocks of Long Kesh, the torture of prisoners in the interrogation centres of Castlereagh and Gough Barracks, the H-Block/Armagh Prison Hunger Strike of 1980, the seven-month Hunger Strike in Long Kesh from March to October 1981, during which ten republican prisoners died and numerous other political, social and economic issues throughout the 32 Counties. In the week of Bobby Sands’s death in May 1981, An Phoblacht sold 60,000 copies. Under the Editorship of Mick Timothy (who succeeded Danny Morrison as Editor) the paper was expanded from 12 to 16 pages, allowing greater coverage of social, economic and political issues throughout the 32 Counties. Following Mick Timothy’s sudden death on 26 January 1985, Rita O’Hare took up the post of Editor. The paper was extremely important during this period in combating the fog of censorship against Sinn Féin on both sides of the Border. In the face of Section 31 and the British Government’s broadcasting ban under Margaret Thatcher, An Phoblacht gave a republican analysis of what was really happening in the North and why. An Phoblacht consistently exposed British military and RUC collusion with unionist death squads. During the 1980s several shopkeepers in the Six Counties were murdered just for stocking the paper. In the South, paper sellers faced regular and severe Garda harassment by the Special Branch. British state forces in the North harassed An Phoblacht van drivers over the years and they were often endangered by being identified to unionist paramilitaries. An Phoblacht has continually moved with the times. In 1988, An Phoblacht moved to new, customised offices at 58 Parnell Square. The move to the new building (dedicated to the memory of former Editor Mick Timothy) added to the paper’s efficiency and professionalism. The paper eventually expanded again from 16 to 20 pages and introduced colour before much of the mainstream Irish print media. An Phoblacht’s offices in Dublin and Belfast later became fully computerised and the paper was one of the first in Ireland to go online. In August 2003, An Phoblacht modernised its operations further with the launch of a new website. An Phoblacht formally became part of the Sinn Féin structure following a meeting in Wynn’s Hotel, Dublin in 2004. 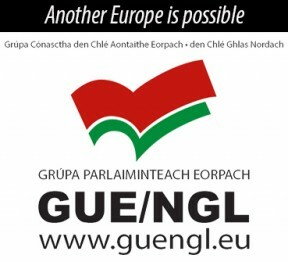 For the past seven years, since August 2010, An Phoblacht began publishing monthly. Today, moving with the times, An Phoblacht will be published from 2018 as special issues and our focus will shift to online platforms for communicating the republican message. The monthly print edition is folding, but An Phoblacht isn’t going away, y’know.